After several weeks of being closed to protect our natural resources, the CREW Bird Rookery Swamp has reopened to the public. Thank you for your patience. 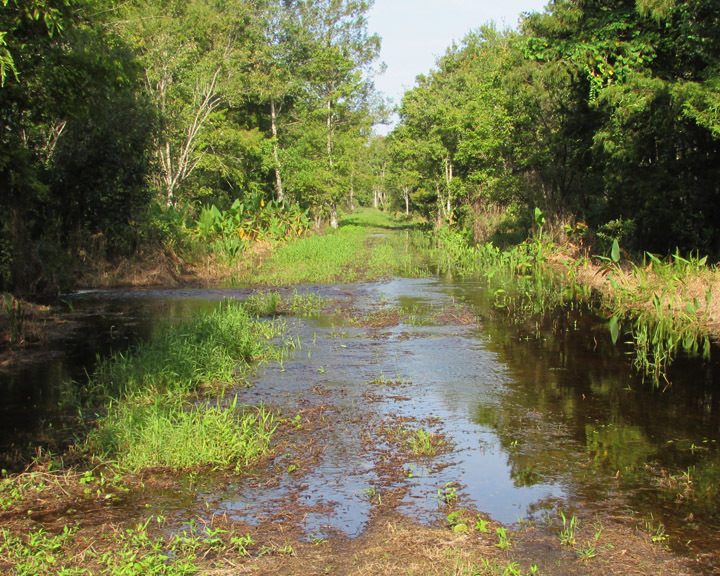 Walkers, hikers, and bikers should know that the 12-mile trail is flooded and muddy in several places. Due to recent rainfall and high water, parts of the trail haven’t been mowed and grasses in those parts of the trail may be high. *For a more detailed update on trail conditions see below. As usual, respect the wildlife and their young. Give them plenty of space. After all, it’s their home, we’re just visiting. Thank you. *Please use caution:Water is over the trail at the end of the boardwalk (about 4” deep), just past Trail Marker (TM) #3 heading towards TM#4 (about 9” deep) and from TM #6 to TM#3 (about 20” deep). The trail is muddy near TM#2, in the mid-section of TM#4-TM#5, and between TM#6 and TM#3. One Response to "Bird Rookery Swamp Reopens"
I’m so ready for this! Thanks for the update!! !